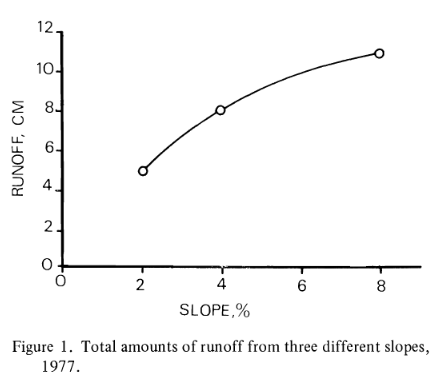 Runoff vs Slope – Welcome to the OptiSurface Support Center! 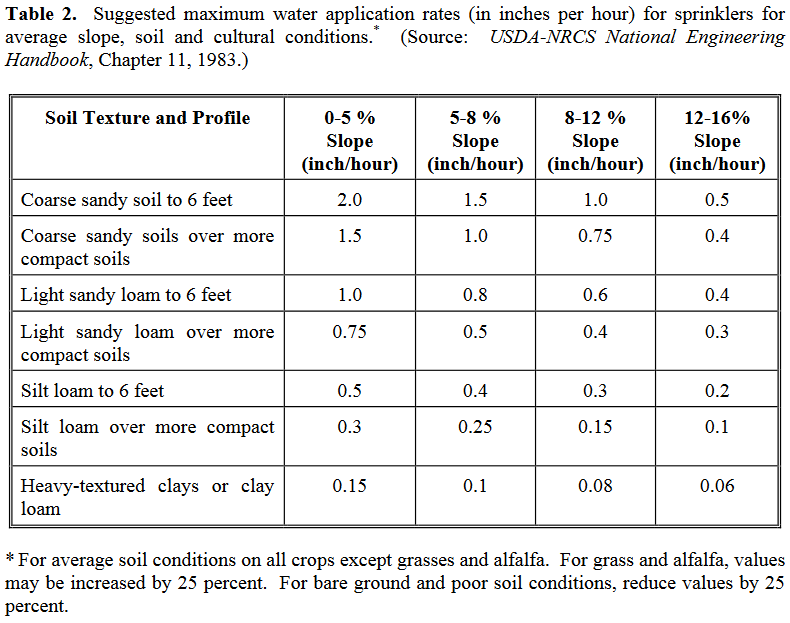 Slope increase from 0% to 5% can decreases effective infiltration by over 300% on the same soil type. See studies below. 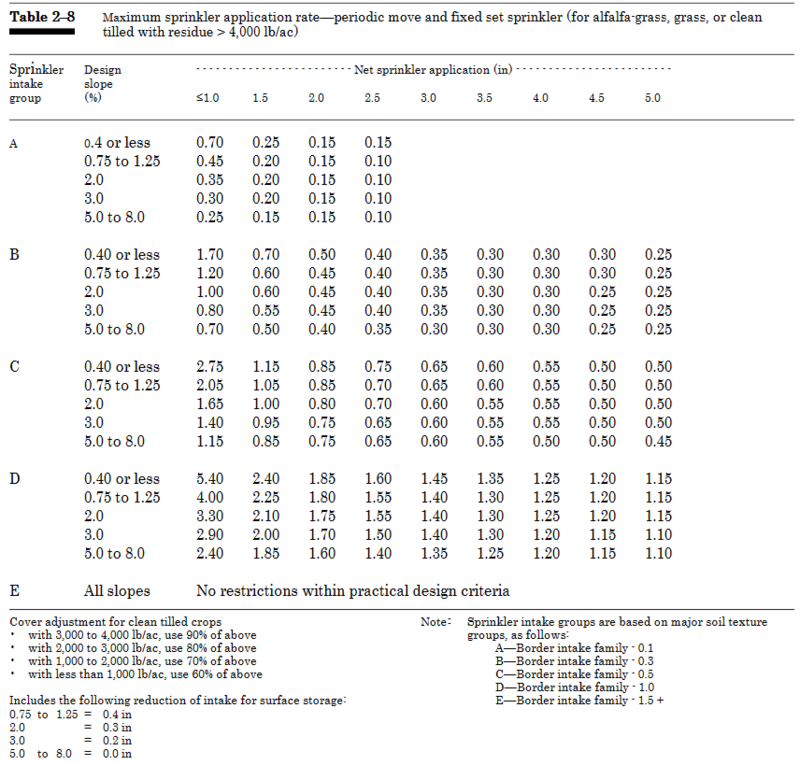 Its conceptually & nicely increases surface storage (table 3) based on slope and residue cover which i think is missing in a lot of models.